President Buhari, VP Osinbajo hold closed-door meeting with security chiefs – Royal Times of Nigeria. 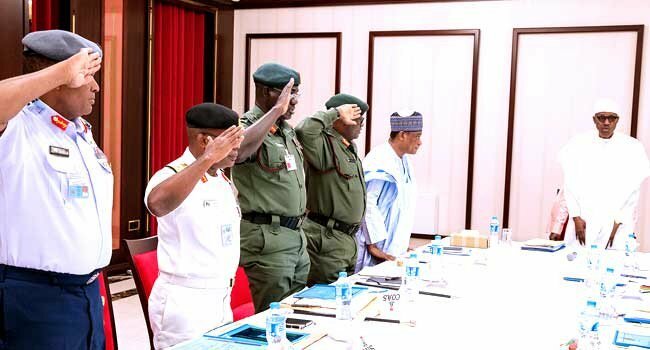 President Buhari and Vice President Yemi Osinbajo is currently in a meeting with the nation’s Service Chiefs at the presidential villa in Abuja. The meeting is also being attended by the Corps Marshal of the Federal Road Safety Corps (FRSC), as well as the Comptroller General of Immigrations.